4DOF Servo Operated Robotic Arm. At Mumbai auto-expo there was one very good Robotic Arm made by Hyundai. Impressed by that we thought why not make one ( a smaller Prototype Obviously ) for out lab. So here it is, What do we need, what we used, and how to make one? 2 with 5KGCM DC servos, one with a 60RPM BO motor and a 3 RPM DC motor for the base. The Arm was operated by Atmega8 and a 4 switch Remote was interfaced with it having 2 DPDT’s and 2 SPDT switches. And according to the incoming inputs our Robotic Arm Operates. Our aim behind this Arm was it should be able to pick objects from ground level and bringing it up to the certain height on the other side and yes we were pretty much successful picking up objects like Screw drivers and spanners. So the project was pretty much successful. 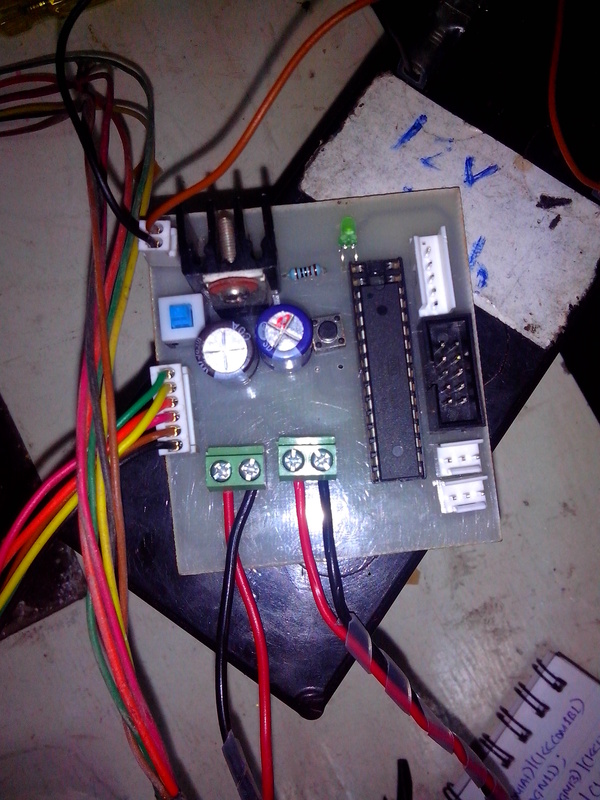 I am not posting the code this time as only a couple of DC motors and a pair of servos are used here. You can figure the code out yourself. Here is A tutorial for servos in case you need some help writing the code for your application with servos in it. 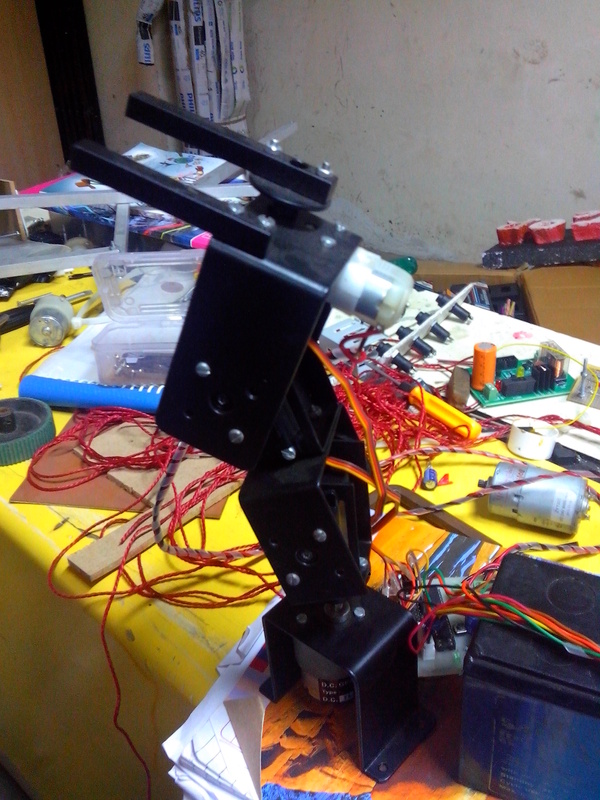 This entry was posted on October 9, 2013 by S4t4n in DIY stuff., Robotics and tagged Robotic Arm, Servo Motors.